Vidyut Jammwal is an Indian film actor who predominantly works in Bollywood films. He is also a trained martial artist, having learned Kalaripayattu (a martial art of Kerala) since the age of three. He is popularly known as “The New Age Action Hero of Bollywood”. He has also worked in Kollywood and Tollywood films. He was born on December 10, 1980 in Jammu, Jammu & Kashmir, India. He is currently 38 years old. He attended Army Public School in Dagshai, Himachal Pradesh. He had to travel various places across the country due to the nature of his father’s job. He is well trained in Kalaripayattu from an ashram in Palakkad, Kerala since he was three years old. Vidyut travelled many countries to perform various forms of martial arts in live events. Hindu. He is an ardent devotee of Lord Hanuman. He wears a shoe 10 (US). Vidyut Jammwal came to film industry with the 2011 Telugu film Shakti, in which he played one of the antagonists. The film garnered mixed reviews amongst audience and went on to became a disaster. The same year, his Hindi debut came in the form of Force and received great reception for his portrayal of Vishu in the film. The film made Rs 320 million at the box office against the incurred budget of 120 million. He made his Tamil debut with the 2010 film Billa 2 as a antagonist starring alongside Ajith Kumar. Vidyut Jammwal did a few music videos including “Tumhe Dillagi”, “Gal Ban Gayi”, “Hare Krishna, Hare Rama” amongst others. He didn’t appear in television series however he has appeared on promotional talk shows to promote his films. 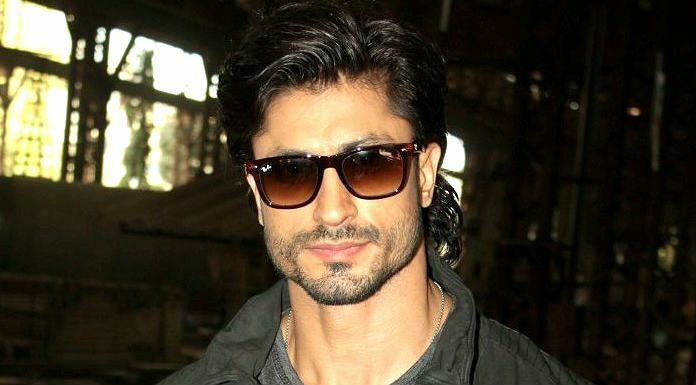 One of the fastest growing actor in entertainment industry, Vidyut Jammwal has a net worth of $2 million dollars. He charges Rs 1-2 crore per film. Vidyut has his own Jaguar XJ and lives in a luxury pad in Mumbai, Maharashtra, India. He is a big fan of superbikes and has Suzuki Hayabusa Ultimate Sport, and Ducati Monster. In popular culture, Vidyut Jammwal is widely referred to “The New Age Action Hero of Bollywood”. Before making his stint in films, he pursued a brief career in modeling and eventually landed with a antagonist role in Telugu film, Shakti,a huge stepping stone in his career. He has walked the runway for famous designers in many fashion shows conducted in India. Jammwal has traveled more than 25 countries to perform various from of Martial Arts in performance events. He has his own team of stuntmen and he himself exclusively choreographed stunts for all of his movies. Vidyut Jammwal has featured on the “List of Most Desirable Men” by various magazines, including The Times of India, People Magazine India, Men’s Health amongst others. During his free time, he used to organize camps to teach self-defense techniques to college-going girls and working professionals. Jammwal was non-vegetarian but now is a vegetarian and a great supporter of PETA. His workout regime combines martial arts training with various other elements of cardio vascular, weight and interval training. More recently, Jammwal has adopted and added Anti Gravity Yoga and Suspension TRX to his intense workout regime. Vidyut Jammwal is a rock climber. Jammwal visited the Shaolin Temple in China. His visit was meant to honour Bodhidharma, an Indian Dravidian Buddhist monk who is credited for taking the teachings of these Dravidian combat forms and exercises from India to China.